The old and trusted bike The All New TVS Victor which discontinued in 2007, TVS company has relaunchedon 20th January, 2016 in the market with the major updates. The company gives a similar design which has seen in current TVS Star City plus. 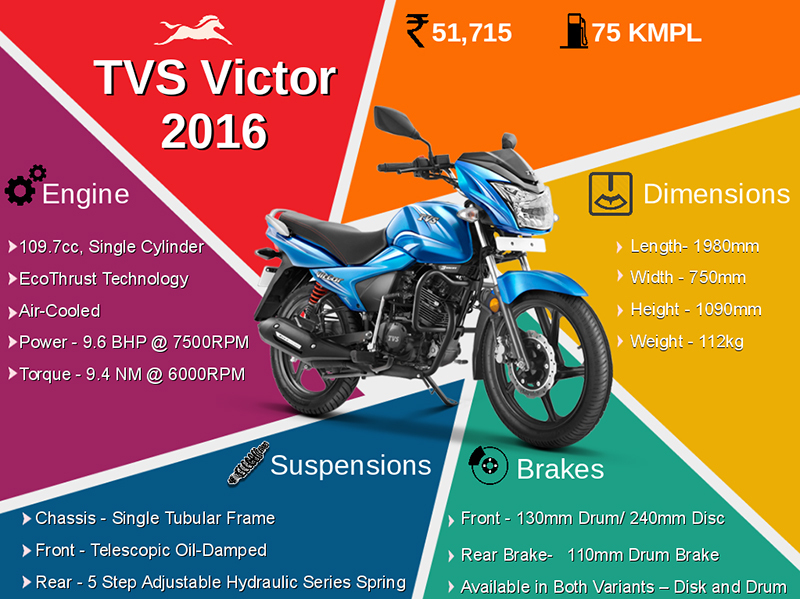 The All New TVS Victor 2016 gives a more comfortable ride on the pit road with 5-step adjustable hydraulic suspension at the rear. In the current market The All New TVS Victor is available in two variants, one disc and another is drum. The company provides six different shades on both variants.